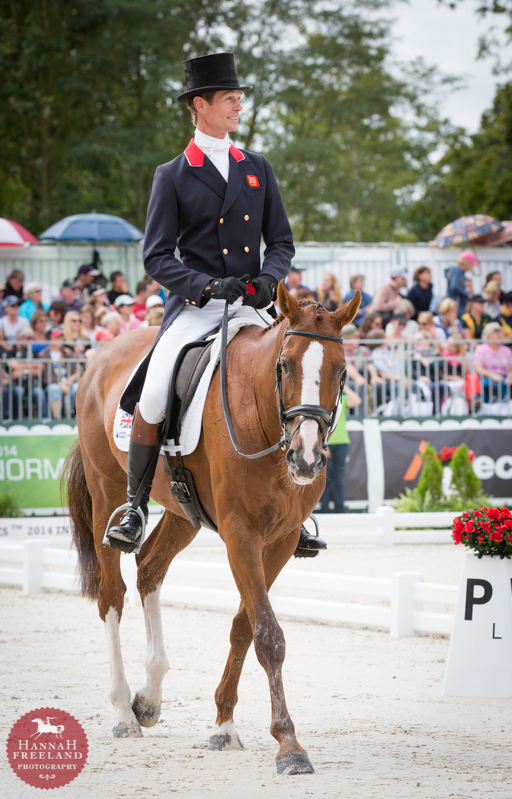 WEG got off to a fantastic start with Chilli doing a superb test to put him in the lead. He was in a very good frame of mind and produced a mistake free test. To score 37.5 on the first day of dressage is a great result. He really rose to the occasion and deserved every mark he got, and it is a very nice feeling to come out with no ‘if onlys’! We were lucky that the rain stayed off, poor Zara got quite wet this morning and was a little disappointed with High Kingdoms 54. However, no-one here thinks it will be a dressage competition with the cross country course looking very demanding both technically and due to the very soft ground. The course is also on the long side at 11.5 minutes and we will all be hoping that our horses are on top form on Saturday.